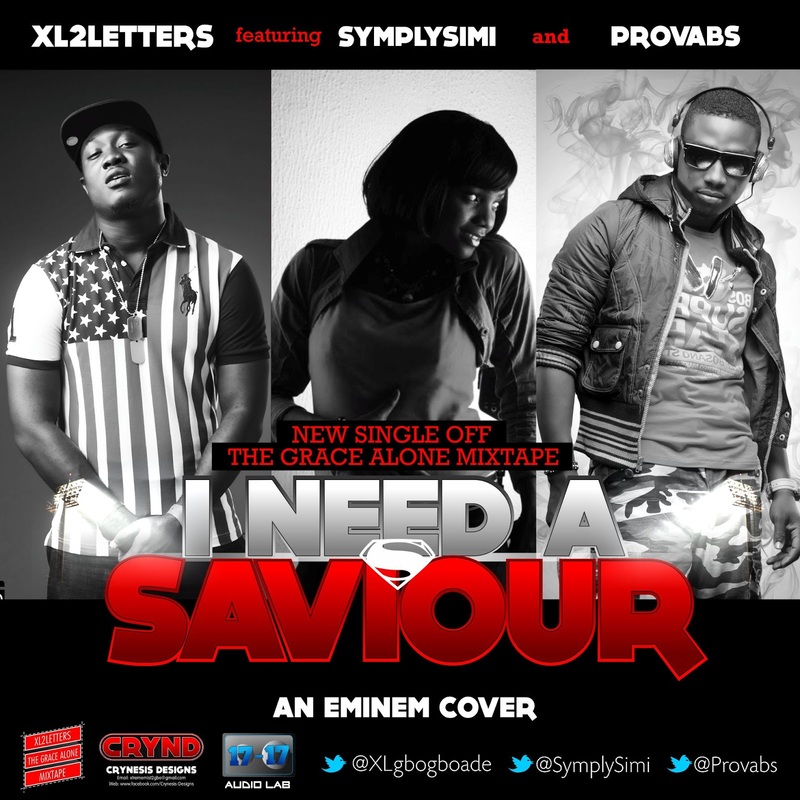 I NEED A SAVIOUR by XL2LETTERS features the beautiful vocals of Simi, the sterling Lyrics and Rhymes of Provabs, and the heart felt lines of XL2LETTERS. The song is more than Just a cover of an Eminem song, but a cry from a sincere heart for God to save him/her from lust and pride deep inside. The song was recorded, mixed and mastered by Dr Sankty with 17 – 17 Audio-lab productions. XL2LETTERS (Adejumo Adekunle Gbogboade) is a fast rising Rapper who hails from Osun state but has lived most of his life in Lagos state. He grew up listening to a lot of hip hop, jazz and soul music, which greatly influences his style of lyricism and choice of delivery. He is a Masters graduate of architecture from the University of Lagos, and is also a graphic designer by profession. He started his professional music career in 2010 and has never looked back since. He has worked with top artiste such as FLO, B.o.u.q.u.i, Gameman, Provabs, He would be dropping his first Mixtape Titled The Grace Alone Mixtape in August 2013.